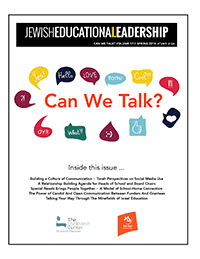 Below is a collection of Chanukah/Hanukkah lesson plans, powerpoints, and articles created by Lookstein Center staff or contributed to site by Jewish educators. To contribute resources, please click here. The 5 Ws of Chanukah, an introductory powerpoint* for elementary school by The Lookstein Center. Includes audio and video. Download it here. Chanukah Play by Amihai Bannett – a humorous play in which ES/MS students relay the miracle of Chanukah as a breaking news broadcast from the Torah News Network. “The Chanukah Play” by Mike Freedman of ICTeachers– a three page play that tells the story of the Chanukah miracle. Chanukah: The Miracle of Eight Candles” by the Bet Class at the Arden Heights Boulevard Jewish Center’s School – a short skit about the meaning of Chanuakah. Hannah and Her Seven Sons by Shoshi K. Bilavsky – two skits depicting the story of Chana and her seven sons based on Talmud Gitin 57. The text has contains some typos. Hanukkah, Shmanukkah! – A Reader’s Theater Script Adapted by the Story by Esme Raji Codell – a humorous, modern script that weaves together the story of Chanukah and the American dream.